Apartment To Rent in Leicester for £675 per Calendar Month. 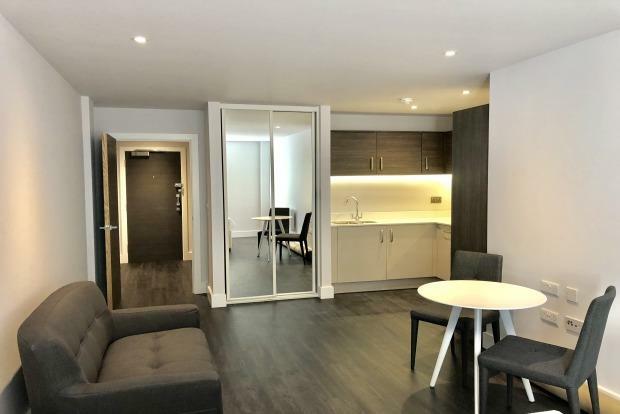 Aria Apartments are located on Chatham Street which is located in the heart of Leicester city centre offering highly convenient access for people who work in Leicester itself or if you need access to Leicester Train Station. In brief the property comprises of small entrance hallway, high spec shower room with shower unit w.c and sink, main studio room which includes brand new high spec kitchen with integrated appliances which includes dishwasher, fridge freezer and washing machine. The apartment comes available furnished which includes bed and mattress, dining table with two chairs and a sofa. This is the best studio apartment we have seen on the market in recent times and we advise that you call today to view!